Music is one of the most important elements in the transfer of cultural heritage. Especially traditional forms of music are considered to be the chief carriers of cultural heritage because folk music, which jumps to mind at the mention of traditional music, is a sub-division of culture as a genetic cultural nucleus and at the same time involves many other sub-divisions and features of culture. These elements and features can be listed as features of language, speech and dialect in the oral form, and stories, important events, wars, natural phenomena, important people, religion, traditions and customs, clothes, everyday items, daily life, social relationships, agriculture, animal husbandry, hunting, accommodation, architecture, musical instruments etc. mentioned in the lyrics. Apart from the oral structure, instrumental works are also elements of cultural heritage together with the clothes, jewellery, objects etc. used in folk dances which they accompany, and the instruments used in performing theatrical stories and narratives. Such important cultural heritage is expected to occupy a central and prioritized position in the music education systems of societies. Although the use of elements of folk music in the three major headings of music education, namely general, professional and amateur music education and their levels, has been the subject of many studies, especially to what extent this has been fulfilled in our country is open to debate. Though each type and level of music education is open to research, it is thought that general music education and professional music education are the fundamental elements for the system to function properly in a society. It will be an appropriate approach to explain the representations of these types via the general music education in primary education and music teachers conducting this education. In our country, after primary education, or more appropriately after the eight-year education in primary and middle education, prospective music teachers attend fine arts and sports high schools as interim level education institutions where professional music education is given at high school level. In other words, individuals who have completed the general music education, one of the two basic dynamics of the system, graduate from these high schools to move to the other important dynamic of the system. From this perspective, it would not be wrong to call fine arts and sports high schools or their equivalents in other countries as the backyard of institutions educating music teachers. When the importance of the institutions that offer music education at high school level is so evident, it is essential to find out to what extent folk music as an element of cultural heritage is included in the curricula of these schools. 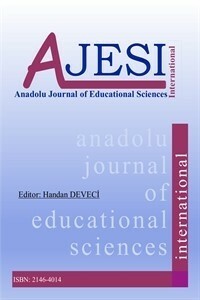 Therefore, the curricula of fine arts and sports high schools in our country and the curricula of their counterparts in Azerbaijan, that is music colleges, were investigated, compared and contrasted in terms of their folk music content and the situation was questioned through the results that were obtained and the conclusions that were reached.